Artis Senior Living manages Great Falls Assisted Living. A number of the owners of Great Falls Assisted Living are affiliated with Artis Senior Living, including the Bainum Family. The Bainum’s have had a long-term focus and investment in the senior living industry, dating back to 1960. The founders and owners of Great Falls Assisted Living have more than 200 years of combined experience serving the needs of older adult populations, including the design, development, financing, and management of Memory Care Assisted Living, General Assisted Living, Retirement Communities, and Skilled Nursing Centers. During more than 22 years of collaboration developing memory care communities, the founders and owners of Great Falls Assisted Living have come to recognize and understand the special needs of residents with dementia. As a result, they have designed a Memory Care residence that delivers an enriched quality of life for individuals with Alzheimer’s and related dementias while also being cognizant of the challenges faced by their families. Great Falls Assisted Living features the latest innovations in the function and design of memory care communities as developed by this seasoned ownership team. Today, Artis Senior Living benefits from the Bainum’s long-term focus and investment in the senior living industry, as well as the experience of a seasoned management team with over 25+ years of collaboration in the senior living market. Two generations of Bainum family members are active in the oversight of Artis Senior Living, among other family businesses, including holding seats on boards of directors. 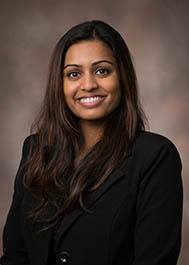 Sheetal began her career with Great Falls in April 2011 as a Marketing Director and became the Executive Director in November 2014. She is a people person and while she enjoys working with all ages, seniors hold a special place in her heart. 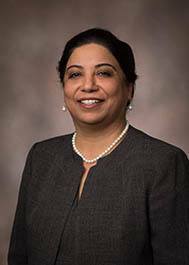 Earlier in her career, Sheetal worked with seniors while employed in a nursing home, a hospital, and an assisted living community with dementia care. She received her undergraduate degree in human physiology with a track in pre-med and then received a dual masters, M.B.A. and M.H.A., Certified Dementia Practitioner with a concentration in assisted living. Health care careers run paramount in her immediate family with all members having an active role in caring for others. Sukhwant Kaur has been our Director of Nursing for just over 2 years but her entire career has been spent as a clinical nurse specialist in geriatrics. She received her second Master’s degree from George Mason University. 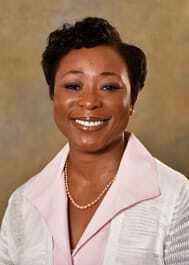 She has served as a nursing manager in a long term care facility and as a certified C.N.A. instructor. At Great Falls, she manages a 24/7 nursing team and believes in teaching her staff by modeling the skills and behaviors necessary to be successful in dementia care. Her passion is the care and comfort of each and every resident living at Great Falls! Along with her staff and residents, Sukhwant finds joy every day with her two children. She is an Administrator. Lynette has been involved with seniors since she was in high school and helping them has been her passion ever since. From being an activities assistant to marketing to social work, she has spent 30 years in eldercare. Lynette went back to college in 2006 and received her degree in Social Work, followed by a Masters of Social Work in 2011. For two years, Lynette was Great Falls’ Director of Community Relations and then left for a while to facilitate Insight Memory Care Center’s new SHARE program while accumulating hours towards her LCSW. 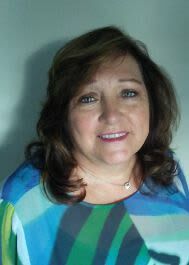 She lives in Leesburg, Virginia with her husband John and enjoys spending time with her children and grandchildren! Oliver joined Great Falls in April of 2015. A native Californian, he moved here when offered the Director of Environmental Services position. 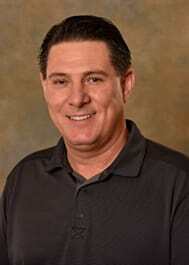 Oliver has over 20 years experience in construction and concrete. In addition, he has been a technician for medical equipment repair and worked for PG&E making houses energy efficient. Through his father, he learned how to work hard, work smart, and how to fix what needs fixing. Oliver’s parents own and operate a senior living community, Woods Retreat, in Sacramento. As a result, he not only knows how to fix things – he knows how to make life better for senior residents. He enjoys exploring the DC area with his wife and two boys. Ruby Arthur became our Director of Business Services in March 2014. She is the consummate business professional and ensures the smooth running of our operations. She received her undergraduate degree in Business Management and received her Masters of Business with a concentration in Finance. She is a Certified Dementia Practitioner, currently an Administrator in Training, and plans to become an Executive Director. The person who most influenced Ruby was her mom who taught her that hard work always pay off!